A group of miners protested today in front of the Prime Minister’s office, asking once again for the approval of the miner status, which the government has promised for several years but nonetheless has not yet achieved. The latest protest comes three days after a 53-year-old miner lost his life while working inside a mine gallery. Protesters asked the government to fulfill its promise of March 2017 to approve the miner status until February 22nd, otherwise they would enter a hunger strike. “We will enter a hunger strike if the miner status in not approved. We will enter a hunger strike on February 22nd. It’s been 12 years that we keep asking for the status,” – protesting miners said. 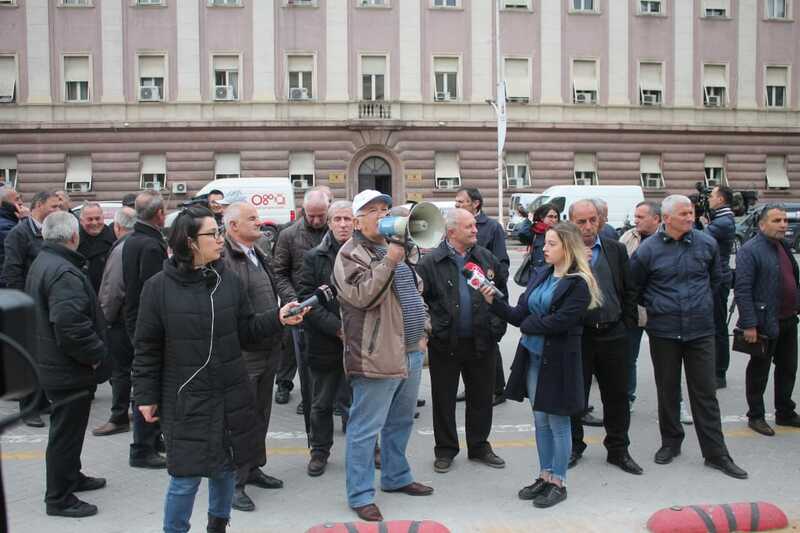 Miners are asking for a minimal monthly wage of 70 thousand lekë (€570), retirement benefits for miners and their families in case of work injuries and accidents, pension increase and reduction of retirement age. They also ask for the right to free medical check-ups, and in the case of professional illnesses, for the state to provide free medical treatment. There are about 8 thousand current and former miners in Albania. Miners have the shortest lifespan when compared with other citizens, due to the challenging conditions of working underground. Eight miners lost their lives and tens of others were injured in the last two years due to the dangerous working conditions.